Google will announce more information about Chrome OS at a press event that starts at 10:00am PST. Google will offer "an update on Google Chrome OS and provide at the work that has been done thus far, an overview of the technology, and launch plans for next year. Speakers will include Sundar Pichai, Vice President of Product Management and Matthew Papakipos, Engineering Director for Google Chrome OS." You can watch the live webcast here. 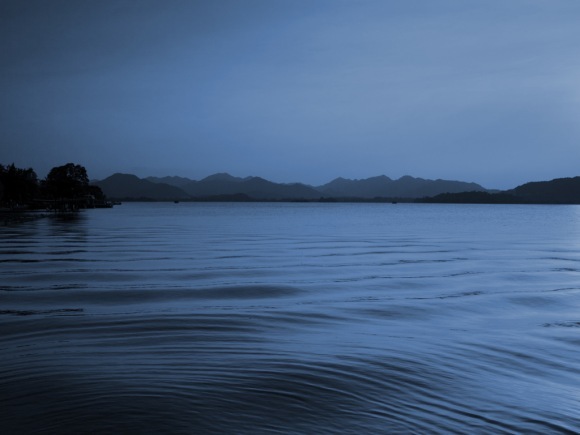 Chrome OS is a lightweight Linux distribution based on Debian that uses a lot of open-source software: Host AP Linux drivers, PAM (an authentication mechanism), Syslinux (a lightweight bootloader), IBus (Intelligent Input Bus for Linux / Unix OS), ConnMan (Internet connection manager), XScreenSaver and other software. More on this later. 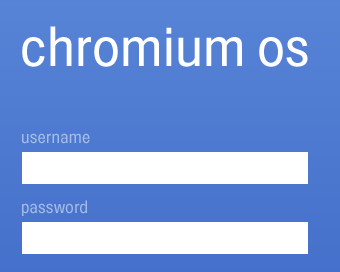 how do i log-in/register for the chromium OS source code? do i log-in/on with my gmail password/username? Real media / Windows media... seriously??? Im surprised they don't have an Ogg Vorbis stream because that's what I've heard they've been pushing for the HTML5 <video> tag to use. where to download and how to test it out? That's really nice. But what if﻿ you'r far far away from the internet connection. For example - in some hotel withour WiFi. What you gonna do if you wanna work with your documents? @hi2005: You cant donwload it. It will be integrated in netbooks. So, all this waiting and YAUS (Yet Another Unix System)? I am very dissapointed. I bet this has Google Gears so it can work asynchronously if you aren't connected. 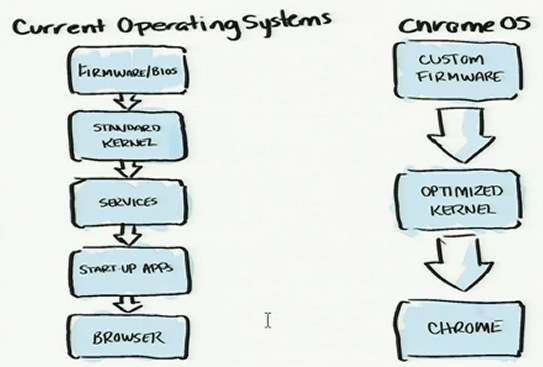 It's stupid that you have to buy a chromeOS machine to be able to use the Operating system. I already don't like it. I know they're following Apple's success, but apple's hardware rocks and you can still use it without an internet connection. I will keep my linux. I think that this OS is a little ahead of it's time...the internet is not yet a utility that can't be turned off yet...I mean we don't pay for our water bill they won't shut off your water for months, but if you don't pay your internet you get it shut off right away or within a month. The Government needs to make internet access a public utility for the security of the future but I'm still thinking that this OS is ahead of it's time what with wifi not being everywhere...unless they intend on installing it on 3G enabled netbooks only, but then there isn't 3g everywhere either. "the only way to install the OS is to buy a Chrome OS machine", so sad that Google imitate Aplle. I hope this will lead to more reliable and faster web apps. Also development of standardized communication between them would be nice. For the non-experienced open-sourcer, I don't think many people would spring to make that leap of faith into primarily cloud-based computing with Chrome OS and buy a new netbook with it preloaded just to see if it's right for them or not. For that reason alone, I think chrome os won't be a current threat to Windows or Mac OS's. Then again, it's open-source, so it's not like Google has much to lose anyway, profit-wise. Chrome OS is not a threat to Windows or Mac OS, it's just one of the many upcoming operating systems that are lightweight, easy to use and optimized for the web. You can continue to use Chrome or any other modern browser and you'll get a similar experience. Chrome OS wants to show that a solid browser is all that's needed for many computer users, the operating system is irrelevant and they shouldn't pay for their operating system or buy security software, performance optimizers etc. Well said alex. But it wouldn't hurt if they made testing a little bit easier for the average user. I would really like to test ChromeOS but its too much work and too hard. And besides, even tough the OS isn't officialy supported on regulars PCs, it would probably work on 90% machines out there. I mean its linux right? I am neither here nor there about it.. We shall see. I think this is great OS for people that are involved only in internet, and they are a lot! What happens when your internet goes down? No Computer? How do I open this video in VLC? Do I press ctrl+n? And what urls do I copy? I love the concept. It's pretty straightforward to what most people need. The fast boot up indeed sounds good. But wat happens in places like my hometown India where people are very calculative about their internet usage. What can Chrome OS do when its offline?? Google is amazing, but the off line aspect is what I am worried about... and how do regular people test it? is there going to be a google-mobile that travels around the country with computers for people to try? HI .. any one can tell user agent for Google OS..???? Since it is mainly for web users...google should announce UA stings for Web Analytics companies..????? ?..anyone know the UA string.. Your files will still be stored locally on the hard drive. It only requires special hardware in this early stage of testing by developers. When it is officially released, it will be released for most popular netbooks. Then, it will gain support for most popular laptops. Finally, it will make its way to PCs. Am disappointed only that they didn't make it usable on ordinary PC's. It could have been a revolution. Hopefully they'll work on that later ! Possible way of trying it out : http://www.techcrunch.com/2009/11/19/guide-install-google-chrome-os/ ? So no user filesystem access, no user modification of the OS (drivers, extensions, customizations), severely limited SDK functionality... Sounds like a dumb web appliance. Might make a usable little web browsing tablet, but this would in no way replace someone's main personal computer, at least not for any self-respecting geek. I give this one a big 'meh'. Very stupid idea for me. x Google people: please don't call "OS" something that is not an Operating System! On the other hand Linux is an Operating System. When the user is off-line this OS will be totally useless to the end user! The idea that you are always connected to internet is not applicable to everyone, everytime and everywhere. I think the design has to be improved, particularly, the flaps of the upper left. would be preferable that the top when you select with the mouse and hides by default. well it say's it will only be avalible if you buy a new netbook. Well thats flawed on every level. 1st someone buys it they wont know what to expect at all because owning it and using it is so different. 2nd there will always be ways of getting it just look at the download for it. 3rd it's not ever gonna be windows which will always win because of the amount of programs. Finally the lack of programs there just google's and there have a lot on their plate atm because android is poor atm now there doing this too. I understand why they're making us buy new netbooks in order to use COS (it's worked for Apple), but the COSt of buying a new netbook will stop many people from buying. I know netbooks are cheap compared to full computers, but last time I checked, there was a recession and two wars on. How are we supposed to afford our iPods, computers, AND our COS-installed netbooks? I think TheGoog's made a big mistake by not making this an OS-replacement for any computer. I love the concept of Chrome OS completely, but Google making Chrome OS free and installable on any machine would be a serious threat to Windows and Mac. Instead, I'm finding it pretty shrugworthy. And the argument of slow boot times is irrelevant for anyone who uses a computer with a decent "sleep mode". I hardly ever restart my Mac and when I had XP on my eee, I'd hardly ever shut it down either. I'd just close the display and even XP didn't mind restarting in around 15 seconds. I was really looking forward to Chrome OS. Now I'm just shrugging since I can't justify a new netbook just because it's "cool." Where are the other wallpapers that are included? Buy a Chrome OS machine just to be able to use it? this is so un-Google. I really want to try this out but if you have to tell me I have to throw my current hardware just to use a new software is so like Microsoft. I Agree with lots of people here, I love Google, but don't want to throw my present hardware in fact had customized it everything. So what happens to your data when the company you are using to store your data goes out of business. OH ya it is all gone just like the ATT ( it think ) issue a month ago while they did not go out of business MANY people lost their data to a server malfunction. next unix, little another MAC, another... hmm time will show... but what if i have not got internet connection ? What happens if you dont have internet?? I mean the OS is a web browser and if i dont have internet at all then it will be money spent for nothing. And if you want to install a program lets say itunes something like that, where is it going to be save and how can i access it?? This is going to be similar to Cloud Computing and Google is already offering numbers of free online application like Word, Excel Sheet etc, we just hope that Google's OS will be not only user friendly but also effective. Thanks for the nice post. I am guessing there could an offline mode through Google Gears, which allows me to use Google Docs etc. even if I'm not online, and synchronizes later. That would be OK, that's all I use my netbook for anyway, writing offline and browsing online. But only offering Chrome OS on new machines? That looks like a fail, but on second thought I think that has something to do with the "custom firmware" box in the flowchart at the top of this page. Does Chrome need some kind of special access through the BIOS? On the plus side, going open source was the right move. Hopefully some teams will take up the code and fork it to make custom install packages so people like me don't have to buy a new netbook to run the OS. This blog have great content and really possible to get helpful information. Great concept. I am just waiting to used Google Chrome OS. Just waiting for its launched. It seems that it will provide unique features. Yes, this is a great concept for user who go for the speed for linking up with the net all the time. What happens to those online games files ? Can we put it on the Cloud ? Cause Like what your Ads says Google Chrome OS is for Net, Music, Games, Re-create Doc. Looks like crap! This is nothing if you use a computer for more then the internet which most people do at some point. Wow its here a browser as an OS! What the f---? They will never hurt microsoft when it comes to the OS Game. Hi that is a great news for all people like me....I don't know a lot about wave and thus that is very new for me...but that is a very very good news for me because collaboratively I can use their service along with twitter and many other features at a time that is nice...thanks Google and thanks web master of this site..
How to download chrome os? i mean , can i turn on my pc i just find google chrome ??!!! without windows or any of this stuff..! well it will be good for the user Google always think better for its user. Just waiting for its launched. It seems that it will provide unique features. Is it possible to run Chrome OS as an applicaiton in Linux? Windows it will be very useful. Google Chrome OS is not user friendly but also effective. if we don't have internet connection then it is useless.so we can't spend money over it. This is just one of the first steps of Computer evolution. I believe it is on the right track, and at first they will have lots of bugs. I guarantee once this comes out Windows will either follow suit or release something they already have. That is the way they always work. I look forward to the change and glad to be apart of it. And for all us computer geeks, it gives us something to master again. You can never keep a program to just to a laptop.They had to install it some how-and I can see it being available to all before they figure it out. Looks like a OS that just keeps it simple-Not really sure about the Safety of all my info. I don't like the idea of my info being out there on the internet,"for someone else to read". But so far so good, can't wait. Apparently it streams the games over the internet using their cloud/server system and does all the number crunching on their side. This way less powerful systems can play games. Would this be something that Google Chrome OS would be interested in? Thanks in advance.